All the participants arrived to the chalet according to the plan on Sunday 10 July. 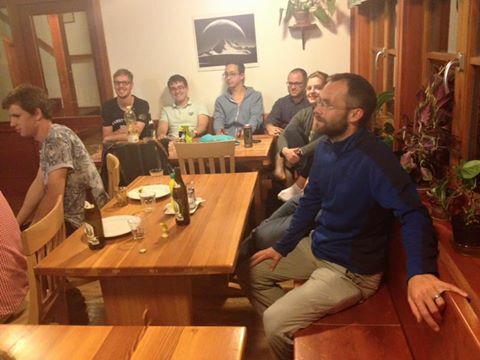 After a common dinner and a welcome by the organisers, students of the summer school had the opportunity to spend a nice first evening watching the UEFA Euro 2016 final and getting to know each other over a glass of famous Czech beer or wine. Day 0: Who gets the European title? Everyone is watching closely the EURO 2016 final.